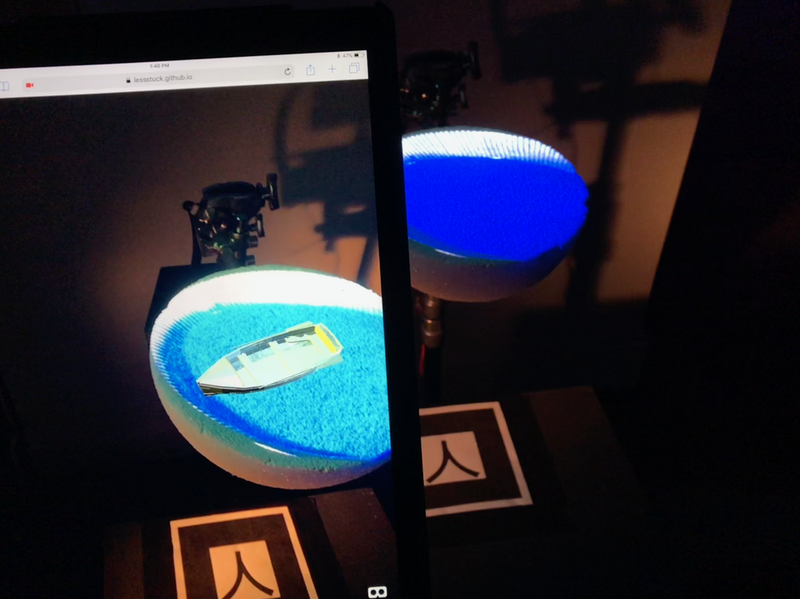 ”Natual Forces”, my final project for Gray Area’s Creative Code Immersive synchronizes physical computing, projection mapping, and browser-based AR to place a boat into a bowl of water. The tricky part is, as is often the case, scaling. Node.js handled messaging with OSC, mqtt, and websockets.